You come back home after work and you discover that your electric garage door is open. Is it possible that your neighbor opened your door by accident with his remote? This is highly unlikely since modern transmitters have dual or triple frequency operation allowing them to transmit signals without jamming others even if there are various devices which could potentially cause interference. Our experience has shown that mysterious door openings are typically the result of a shortage in the clicker. It keeps sending a signal as you drive away from your house and this causes the closed door to open immediately. At “Garage Door Repair Palo Alto”, we have a quick and reliable solution to this problem. Count on us to replace the faulty device with a new one. Our service includes programming the new clicker to ensure that it will work flawlessly with the opener. This is rolling code technology. It changes the access code of the remote automatically every time after it has been used. 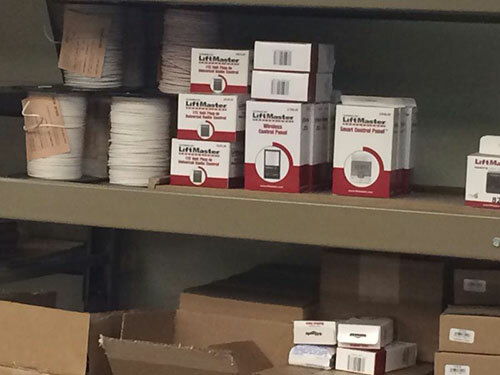 It is present in all clickers currently offered with LiftMaster openers. The latest version of the technology is called Security Plus 2.0. If you have any kind of problem with a remote based on this technology, you can rely on us to resolve it with professional repair or replacement. When you use our opener installation service, we will program the garage door remote clicker for you to ensure that you will enjoy maximum security and convenience. Rely on us to take good care of remotes and all other opener accessories as part of our maintenance services.